On April 5, 2019, Karapatan filed letters of allegation to United Nations Special Rapporteurs over cases of threat, harassment and intimidation, particularly the red-tagging and terrorist-labelling of organizations, in line with the Duterte government’s counterinsurgency program. Karapatan sent complaints to UN Special Rapporteur on the Situation of Human Rights Defenders Mr. Michel Forst, UN SR on the Rights to Freedom of Peaceful Assembly and of Association Mr. Clement Nyaletsossi Voule, and UN Assistant Secretary General for Human Rights Mr. Andrew Gilmour. 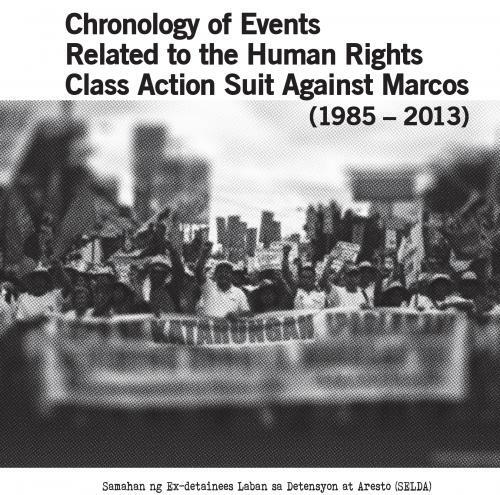 In the complaints filed, Karapatan said that under the Duterte government, there is a surge in the violations on the right to freedom of association and of human rights defenders, including reprisals on those who engage with UN human rights mechanisms. 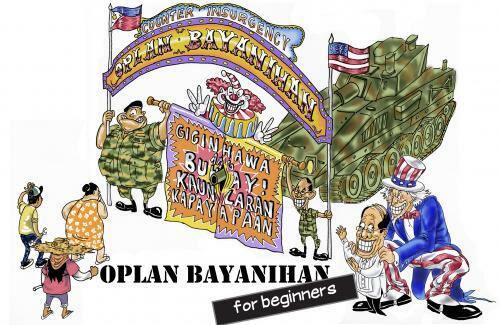 Karapatan cited defamatory propaganda materials circulated in public places and even online, most recently in December 2018 and February 2019. The letter also emphasized the systematic red-tagging of the Duterte government through the issuance of Executive Order No. 70 last December 4, 2018, which created a National Task Force to End Local Communist Armed Conflict (NTF). A similar complaint has also been filed at the Commission on Human Rights and at the Joint Monitoring Committee on the Comprehensive Agreement on the Respect for Human Rights and International Humanitarian Law (CARHRIHL). “The recent circus tour of the NTF in diplomatic missions in Europe is a mere frantic attempt by the Duterte government to discredit organizations such as Karapatan, Ibon and the Rural Missionaries of the Philippines which are exposing the issues and crimes that this regime wants buried. This cycle of red-tagging has serious implications, particularly with human rights defenders on the ground. We will continuously denounce these desperate efforts, altogether challenging these malicious claims and smear campaign against our organization,” said Karapatan Secretary General Cristina Palabay. “While this intensified red-tagging has reached an unprecedented level, with the Duterte government taking its malicious allegations in the international arena, the risks faced by human rights defenders in the country have exponentially worsened. Activists are being killed. Hundreds have already been imprisoned due to trumped-up charges while thousands more were subjected to various forms of threats. This is part of the government’s reprisal against people’s organizations and rights advocates who remain critical to this regime’s anti-people policies. We reiterate that this systematic maneuvering to red-tag individuals and organizations have led to the killings, imprisonment, and disappearance of human rights advocates,” Palabay emphasized. “We challenge the Duterte government to respond to the requests of said UNSRs for an official country visit for independent investigations on human rights violations. We can no longer expect due process to be accorded to us by the Duterte government, given the staggering thousands stripped off of their right to due process and mercilessly killed, but we express our hope that UN member-states and independent mandate-holders can stand alongside organizations and advocates who have, time and again, worked ceaselessly for the advancement and protection of human rights,” Palabay concluded.